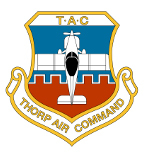 Thorp Air Command - T18.net • View topic - Thorp nearby to look at? Board index » Other Stuff » Interested in a Thorp? Thorp nearby to look at? Post subject: Thorp nearby to look at? I am thinking about buying at Thorp T-18 or S-18, and would like to see one up close. Anyone nearby willing to show me their plane? I live in Santa Cruz, CA. Nearby airports are Watsonville (WVI) and San Jose (SJC). Please contact me by e-mail tg2@baymoon.com or text 831-272-4405. Thanks! Post subject: Re: Thorp nearby to look at? Well, I'm not that close in Salt Lake Toni, but as soon as I get my prop and carb back from the overhaul shops, remounted and get the conditional done, I might just scoot out there with a friend for grins and some X-country and simulated hood time, so perhaps in 3 to 4 weeks.....unless She Who Eye Wership books the trip to the Costa Rica beach cuz she's sick of my lilly white rump and wants to see something more attractive like...? ?...howler monkeys... and then it might be 5 to 6 weeks.....either way, if you haven't slaked your Thorp thirst by then, we'll see if we can arrange it, beach tan and all. I thought the silly white rump was part of the non-essential section of the government shutdown ?